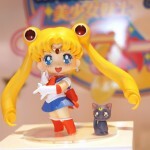 A ton of new Sailor Moon figures were revealed at this past weekend’s Tamashii Nations 2014 event in Tokyo. 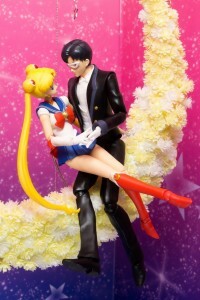 We have Sailor Chibi Moon and Tuxedo Mask S. H. Figuarts figures, a new line of Figuarts Zero figures in a Sailor Moon Crystal style and super deformed Tamashii Buddies for the main five Sailor Guardians. We already knew we were expecting to see a Tuxedo Mask S. H. Figuarts figure so that was no real surprise, but Sailor Chibi Moon was news! Also on display is the original anime colours Sailor Moon. 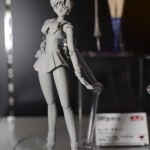 The S. H. Figuarts Sailor Moon figure had a slightly different colour palette, including a more pink colour than her original red, but this one is more what fans of the 1992 Sailor Moon anime are used to. S. H. Figuarts figures are high quality highly posable figures. These new S. H. Figuarts figures will likely cost about the same as the other ones that have been released, about $40 to $50 US. What kind of accessories will be included with these figures? We can only speculate, so here we go. 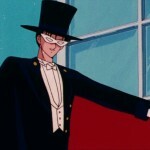 The Tuxedo Mask shown has neither a cape or a rose, which would be obvious additions. 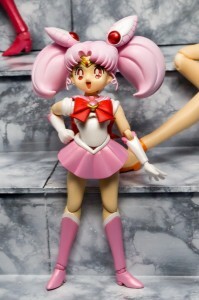 Sailor Chibi Moon may include her Pink Moon Stick and Luna P. Sailor Pluto remains the only Sailor Guardian not to get an S. H. Figuarts figure as we’re now moving on to other characters. Should we expect to get Chibi Chibi, Ikuko Mama, Shingo and Red Buttler S. H. Figuarts before we see her? 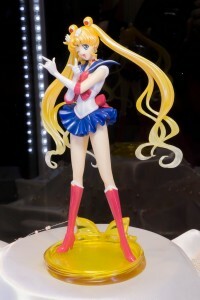 The other big revelation was the new line of Sailor Moon Crystal Figuarts Zero figures. 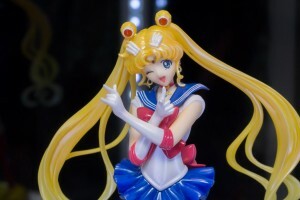 The original Sailor Moon Figuarts Zero line is from Sailor Moon R but these ones are from the new Sailor Moon anime, Sailor Moon Crystal, and have a whole other level of detail to them. I wasn’t terribly impressed with what the Sailor Moon R Figuarts Zero figures had to offer at their price point, but I find these new ones to be quite nice. The Figuarts Zero line are not posable. They are stationary small statuettes. 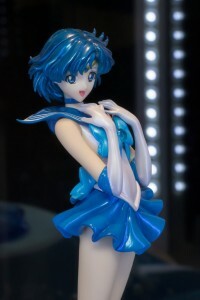 If pricing is similar to the other Sailor Moon Figuarts Zero figures they should cost somewhere in the range of $80 to $90 US. Also revealed were more Tamashii Buddies, small non posable super deformed figures. These tiny figures are just 9 cm tall, about 3.5″. 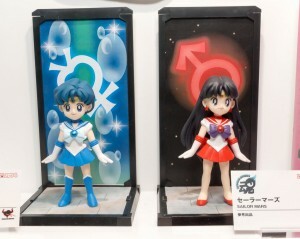 Announced to date are Sailor Moon, Mercury, Mars, Jupiter and Venus. 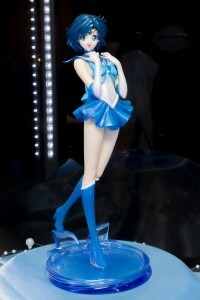 Though no prices are given these slightly more affordable figures tend to sell for about $15 US. Keep reading for more photos of these toys. 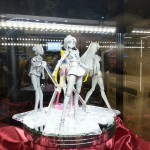 This entry was posted in Merchandise, Pretty Guardian Sailor Moon Crystal (2014) and tagged Bandai, Figuarts ZERO, S.H. 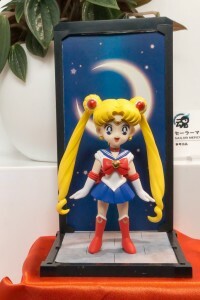 Figuarts, Sailor Chibi Moon, Sailor Jupiter, Sailor Mars, Sailor Mercury, Sailor Moon, Sailor Venus, Tamashii Buddies, Tamashii Nations, Tuxedo Mask by Adam. Bookmark the permalink. Where did they conform sailor pluto? where did you find it because i’m curious? Wow, these are amazing. I wish I could afford them. Have you seen the Sailor Mars pullip? I love the Figuarts Zero ones, especially Mercury who is very graceful. Very beautiful details, colors and poses in these works. 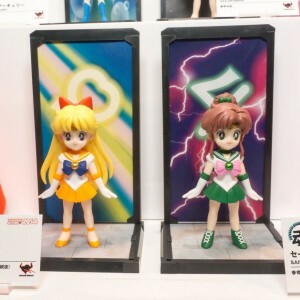 Where can we buy the Sailor Moon Tamashii Buddies figures ?